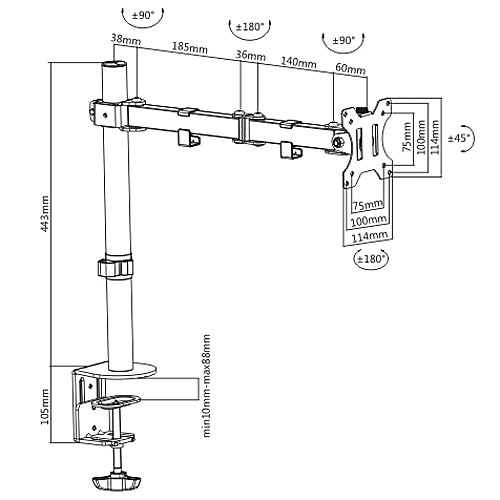 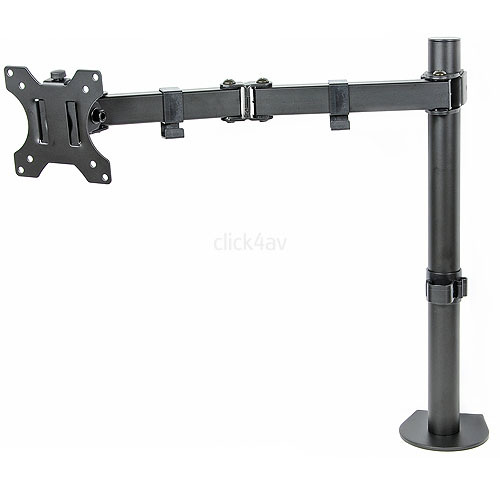 This great value desk mount arm can support a single PC Monitor with 75mm or 100mm VESA fixings. 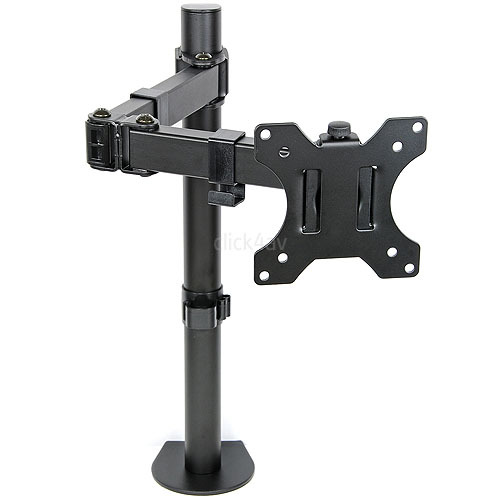 It is compatible with most new screens from 13 to 32 inch and up to 8kg. 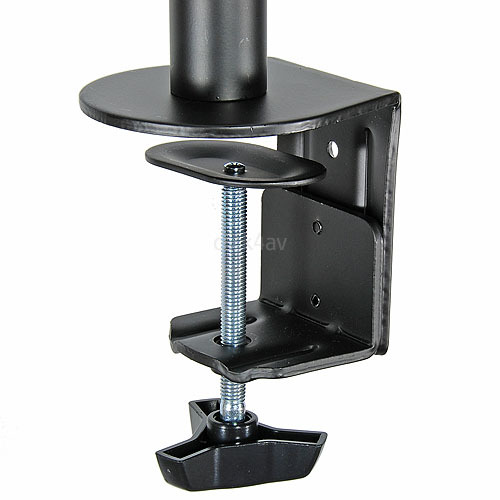 The mount is very easy to fit with desktop clamp and a detachable VESA mounting plate. 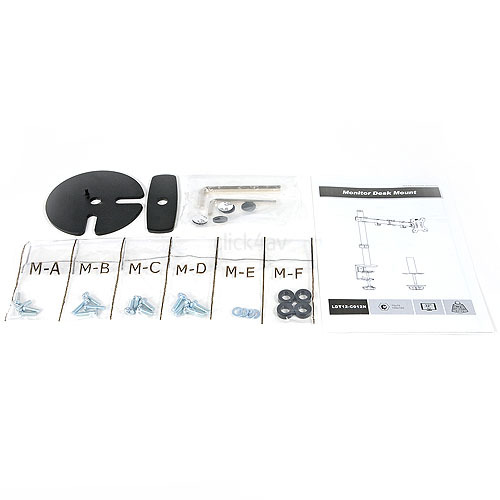 You also have the option of through desktop fixing. 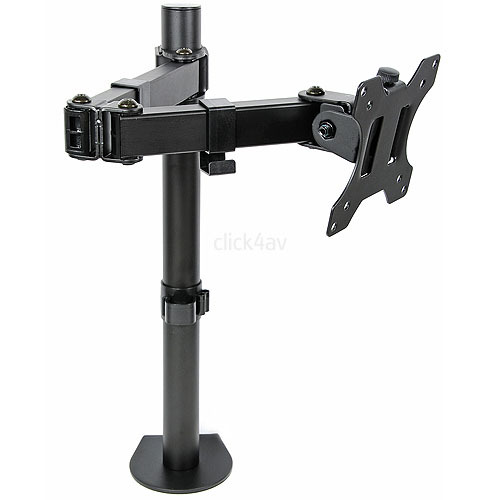 The arm has twin pivot points for maximum flexibility and is supplied with cable clamps to keep things tidy.